Dimensions 1.50 by 9.75 by 11.25 in. Amazon.com description: Product Description: This chronological study traces the evolution of graphic form, from Antiquity through the Middle Ages and up through the age of technology. Each period is explained in detail, from Classical craftsmanship to the changes brought on by the Industrial Revolution and the modern-day potential of the digital world. As computers now play an integral role in academic and professional environments, virtually everyone makes font choices on a regular basis, rendering typography more relevant than ever before. This thorough, scholarly, and visually-appealing volume combines the history of the letter formâfrom the invention of printing to the relationship between graphics and totalitarian regimesâwith intricate analysis of graphic design and typography, all supported by 850 images with extensive notes and a bibliography. This is an indispensable handbook for understanding our daily visual environment, and essential reading for all graphic arts professionals. 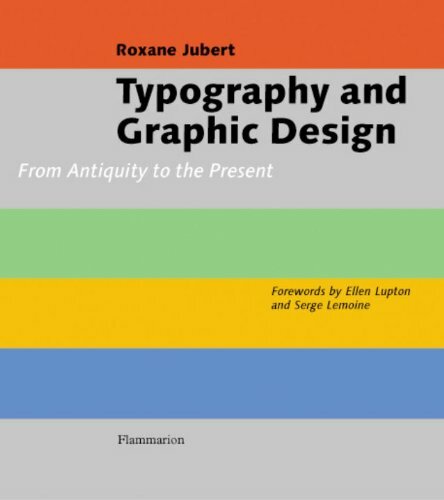 About: An award-winning study of how visual communication has shaped the modern perception of the world chronologically traces the evolution of the graphic form from antiquity, through the Middle Ages, and into the technological age, in a volume that considers the impact of such capabilities as printing, typography, and graphic design.